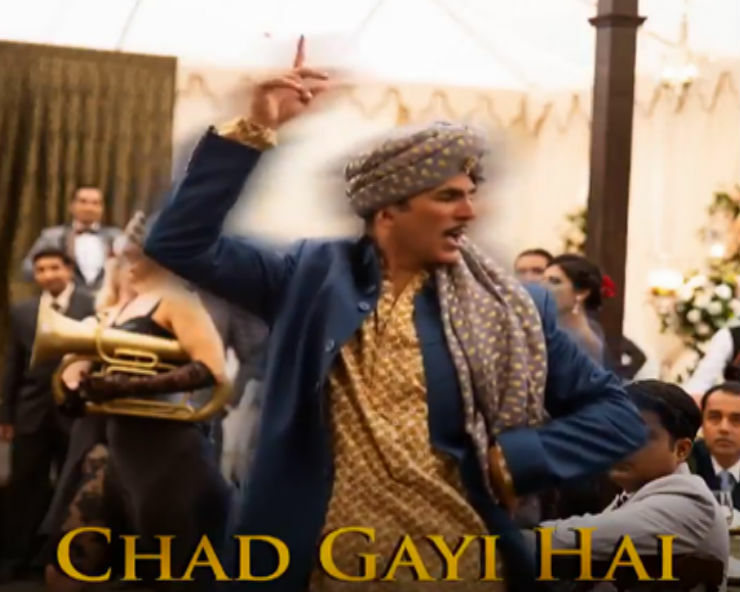 New Delhi: Actor Akshay Kumar on Thursday released new song 'Chad Gayi Hai' from his upcoming movie 'Gold' on Twitter. The movie marks the Bollywood debut of actress Mouni Roy opposite Akshay Kumar. Apart from Akshay and Mouni, 'Gold' has an ensemble cast of Kunal Kapoor, Amit Sadh, Vineet Singh, Sunny Kaushal & Nikita Dutta. The first song 'Naino Ne Baandhi' from the movie was released at a mega event for which the actor flew all the way to Mumbai from London. The trailer of 'Gold' has been received well by the audience and now everyone is waiting for its release with bated breath. 'Gold' is about India's first Olympic medal win as a free nation in the year 1948 at Games of the XIV Olympiad, London. The period film helmed by Reema Kagti has been shot across the UK and India.